Religion is a fundamental shaper of the cultural, social, political, and written and spoken language of a people, and like the distinctions and variances between language itself, religion charts boundaries and confluences at the junctions between societies. To destroy the language of religion, and the art it has created, is to destroy the very history and identity of those who have created us. It is with the totality of arrogance and the contradictions of denial that over the course of the last year so-called Islamic State made sweeping movements that helped to erase the reasons and desire for us to exist on this planet, but it remains one of the saddest truths that they are not the only group to have done so through the history of accidents that makes up what may be termed ‘human time’. In a recent article in Art Monthly (AM 394) concerned with the naming and nature of this temporal occupation, and the emergence of an ‘anthropocene era’, Jamie Sutcliffe brought into vivid focus the micro-engagement of biological systems, of which the human being cannot be considered an insular, hermetically sealed entity but rather a construct of mutually interdependent ‘species-assemblages’; a collection of billions of cells, organisms, and bacteria without the static form we commonly interpret our bodies as having. We are as much accidents of survival as the visual and non-visual cultures we have spawned – a matter made painfully tenuous with every new moment of destruction. Indeed, destruction appears to me at least to have had as much energy, significance, and substantiality as our concurrent attempts at creation. And what an indefinably beautiful idea creation has proven to be, both biologically and societally. This is what we must protect above all, I believe, but the issue remains thorny, for creation is on the whole inextricably linked to a greater or lesser degree with some form of destruction. Below is a catalogue entry concerning Anthony Caro’s book edition Open Secret, written for the upcoming publication of an important private UK collection. 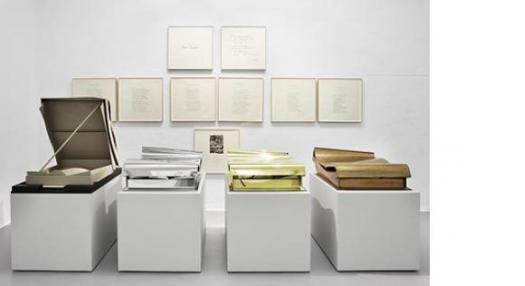 Edition of 31 sculptures in four materials: three in stainless steel, three in grey cardboard, 10 in bronze and 15 in brass, plus one artist’s proof of each; accompanied by hand-written poems in German and English by Hans Magnus Enzensberger, and a passage transcribed by Caro from Shakespeare’s The Merchant of Venice. The Open Secret series was first exhibited as part of Blood on Paper, an exhibition of artists’ books held at the Victoria & Albert Museum, London, UK, between 15/04/2008 and 29/06/2008. It has since been featured at the Whitechapel Gallery, London (25-27/09/2009) and the Lightbox Gallery and Museum, Woking (20/01/2009-21/04/2009), and will travel to Madrid in February 2015 as part of Books beyond Artists: Words and Images, hosted by Ivory Press. Each edition takes the form of a hinged metal case opening to reveal a collaborative portfolio by Caro and the German author and poet Hans Magnus Enzensberger, incorporating text and images. Anthony Caro was one of the first artists to challenge the orthodoxy of post-war British sculpture. In what Adrian Stokes saw as the superseding of the traditionally predominant sculpting material – stone – Caro embraced the pourable, plastic, and moulded qualities of unrefined metals to redefine the language of sculpted forms. 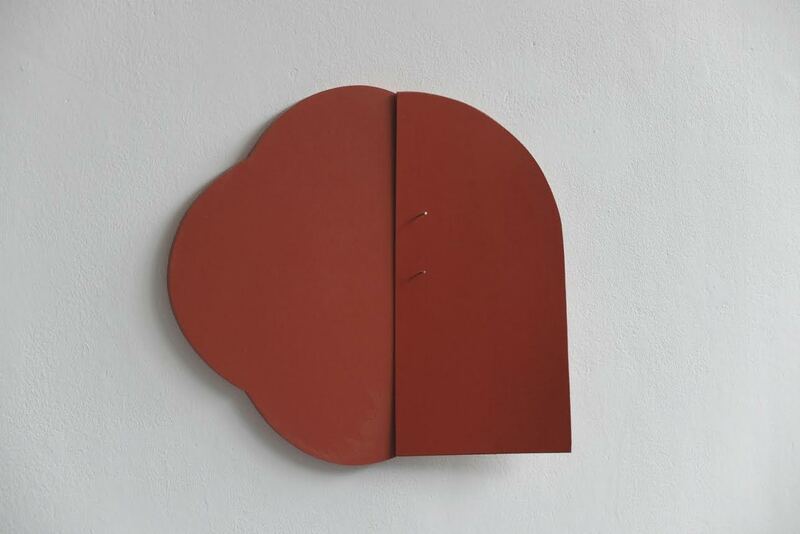 From roots in the iron foundry, he moved through a spectrum of media, incorporating clay, card and paper, brass, bronze and occasionally pigments into his work, forging particularised structural relationships out of planes, corners, curves and tubes in each case. The artist’s choice of materials for Open Secret offers new and fruitful avenues for the interpretation of his wider oeuvre, and draws on tonal, textural, and visual subtleties that diverge from those more commonly associated with his practice. His interest in the materiality of metal in its supposedly pure form (the use of paint to disguise the true nature of metal was almost entirely abandoned early on in his career) seems key here. Each of the edition’s variants acts as an almost elemental substance (especially when seen collectively), with an identity and meaning related to but distinct from their counterparts. None of the selected metals, however, can finally be understood as being pure in an elemental sense– since they are all admixtures of other substances, and quite deliberately chosen as such. Like language, each embodies the consummation of a process of careful measuring and manipulation by experience, craft and the human mind. 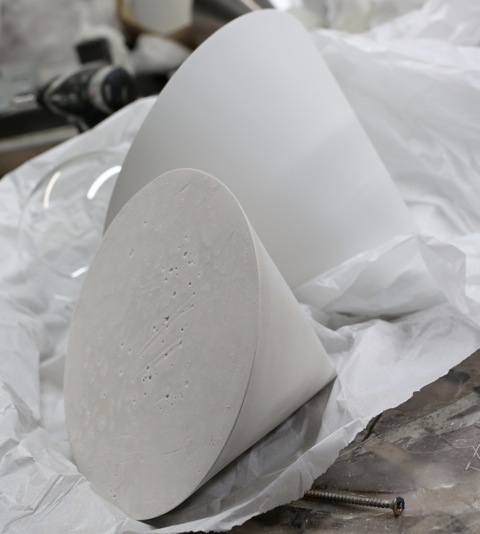 Most objects made by design have at their core an innate repeatability — this often depends on symmetry — regular, even shapes that can be extruded from a flat material or formed in a mould. The handmade, i.e. the irregular, is removed, diminished, or essentialised. 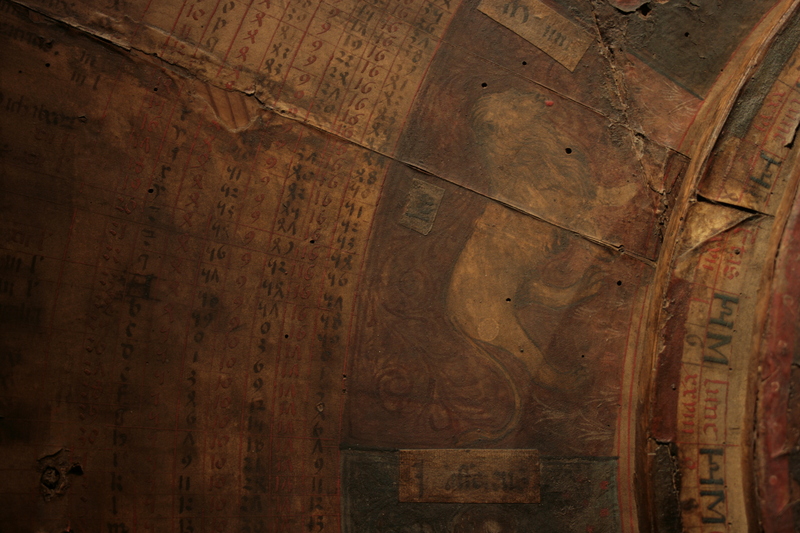 Here, colour too is often subdued or graduated. This joint installation draws from themes common to the field of design. Both collaborators utilise shapes ratified by a sense of ideal proportion, shapes that, like the perfect wholeness of a net diagram, can be equally manifested in two or three dimensions. Both restrict their use of colour to a careful minimum, often relying on the effect of that cast by light from a remote source, leaving mirrored hues, streaked highlights, and colours in shadow. Both reflect on the emotive content of the unquantifiable in the making of an object — inconsistencies of tone, the presence, movement, and shape-making properties of light, a given material’s catchlights and reflective potential. It has been said of Gothic architecture that it is an architecture of emotion — that the science of geometry is second to an invocation of a spiritual essence within an imagined celestial interior. That geometry can hang in suspension within a diffused architecture, a space of emergent boundaries and dissolvable shadows, is a point of focus for both Bany and studio vit. Bany in particular, embraces fields of shape and space that share a close connection to Gothic buildings and their attendant environments of objects – altarpieces, quatrefoils, screens, lancet windows. Repeated circles with stucco pigments are arranged in a close tension, nestled and symmetrical, or running in parallel with extended bases and hard right-angle corners suggestive of digitized limestone. Often, her titles play on architectural terminology particular to medieval sites; an apse becomes a semi-circular space seen from directly overhead. This is paired with an equally pronounced interest in the role of the domestic arts, and her fan-like supports and calligraphic brushstrokes also draw strongly on the aesthetics of Japanese interior design. Pulling at such diverse conceptual strands, her collections of shapes evoke a purified language of abstract symbols. Studio vit take an approach to the geometry of shape and mass that pertains to classical Euclidean theory, the cone, cube, cylinder and sphere dominant juxtapositions in their output. Nevertheless, the aesthetic delicacy and balance of their products draws on the emotive properties of harmonious or imbalanced forms that break the strict ratios of classical proportion. When seen together, their Cone lights become a series of moveable combinations, each of the two forms they comprise interacting with its partner in a singular and divergent counterpoint. As with Bany’s painted surfaces, these combination objects rely on the defining properties of light. They are dense, silky, or rigid triangulations in daylight, emitters of spectral and explosive radiance when alight. With all these works, context is acutely variant. 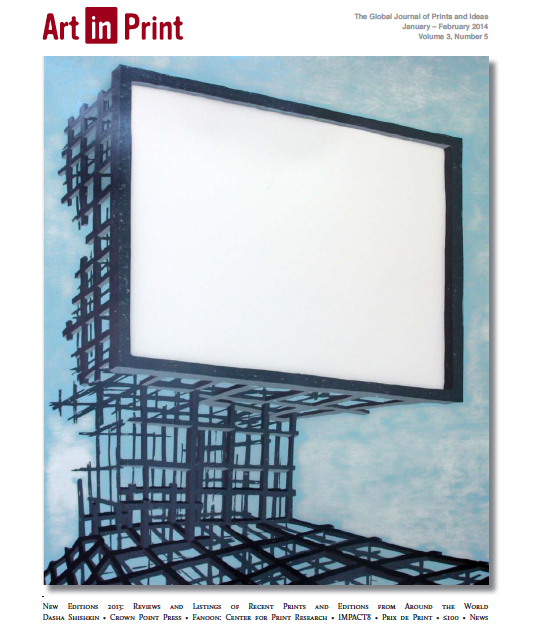 As proportion, light, and formal and spatial relationships are key elements of their production, so too are they defining of the works’ reception within a given space. As with objects of design, they deepen our relationship with a surrounding environment, but as works of a unique nature, they offer and develop repeated forms in un-repetitious and unrepeatable arrangements. 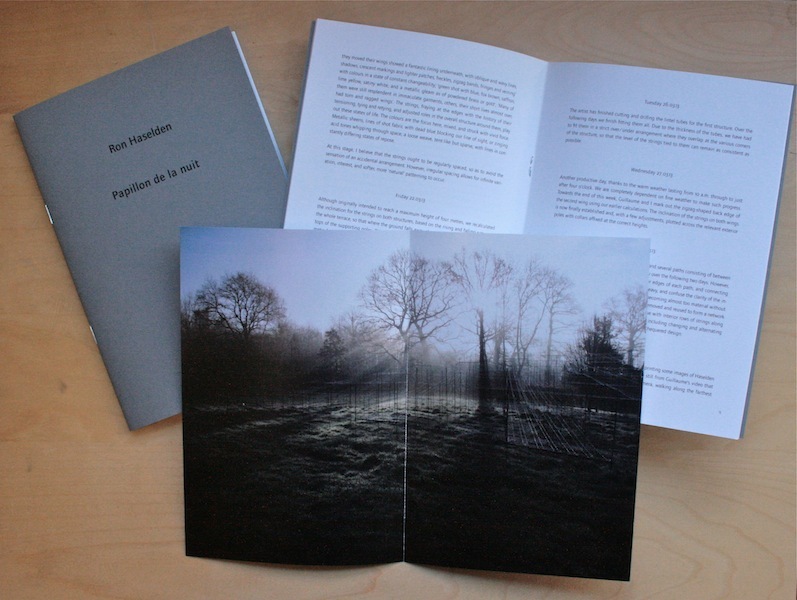 This summer sees the publication of On the construction of Papillon de la nuit, a collection of my notes and related photographs and stills concerning the creation and reception of Papillon de la nuit, a monumental sculptural installation in the Brittany countryside by Ron Haselden, one of Britain’s foremost site-specific sculptors. Limited to a run of 200 copies, the publication is available via the DOMOBAAL website. 28 pages, 16 colour photographs, one of which is included as a full-bleed scored and folded A4 loose insert. Richard L. Feigen and Co., one of New York’s most influential, longest running, and prestigious commercial galleries, representing the likes of James Rosenquist and the estates of Joseph Cornell and Ray Johnson (for which no end of blogs could be penned), has collaborated with Sam Fogg, London’s leading gallery for Medieval Sculpture, Manuscripts, and Works of Art, on an exhibition of twenty two unique, remarkable, and important objects from the Medieval period. Do, if you are New York bound this Spring, visit the gallery, which is open 10am – 6pm Monday to Friday. Do pick up a copy of the January – February 2014 edition of Art in Print, which includes Adam Bridgland’s 2013 portfolio TREASURE in its Selected New Editions section. Adam and I worked on this portfolio, which reuses and reworks reclaimed photographs and postcard imagery from across the twentieth century, for the artist’s solo exhibition at the Idea Store, Whitechapel, last summer, and it was soon after acquired by the department of Prints and Drawings at the British Museum, London. 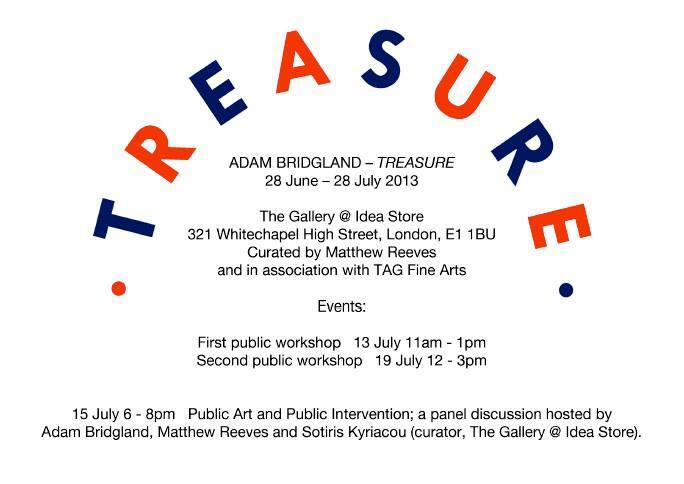 From 6-8pm on Monday 15 July Adam Bridgland, Sotiris Kyriacou (Curator, The Gallery @ Idea Store Whitechapel), and myself, hosted a public panel discussion on the occasion of Adam Bridgland’s solo exhibition TREASURE, which ran until 28 July. 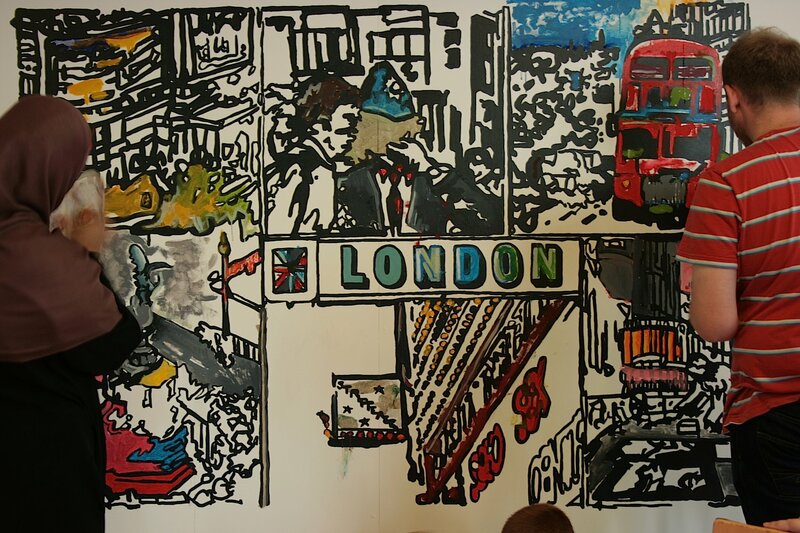 On Friday 19 July, the second of two painting workshops took place, during which the public were invited to come and ‘colour-in’ the second of two large-scale monochrome wall paintings on display in the gallery space.